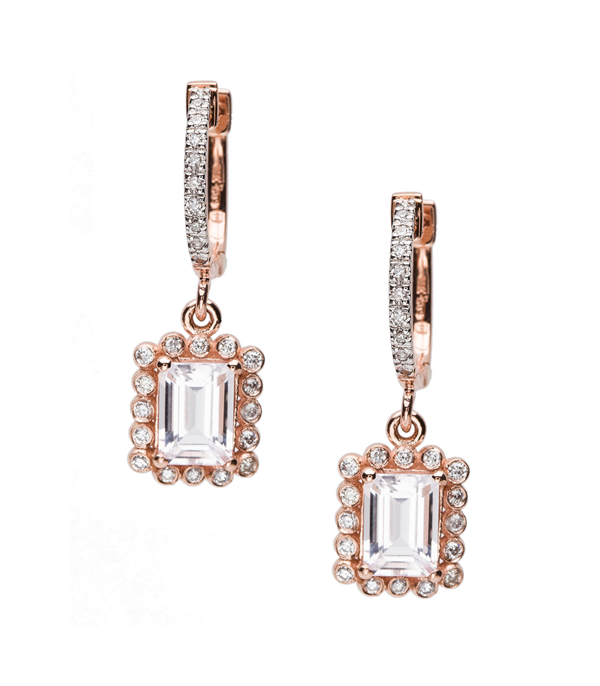 Our most brilliant Regency earrings nod to tradition with a contemporary twist! A lovely emerald cut morganite is highlighted in a diamond studded (0.30ctw) 14K rose gold picture frame setting and dangles gracefully from a diamond huggie hoop. Feminine, sparkly, and full of glamour! Also available with tourmaline or aquamarine centers. Please visit our Bespoke page to inquire. Categories: Earrings, Regency, Timeless Glamour.